I haven’t used rough-finished watercolor paper in a while. I remember that I enjoyed working with this texture. To increase the irregularities of the surface, I obtained a spray bottle and some pretzel salt. I applied the pigments as usual, applied the salt and soaked the paper with my nebulizer. 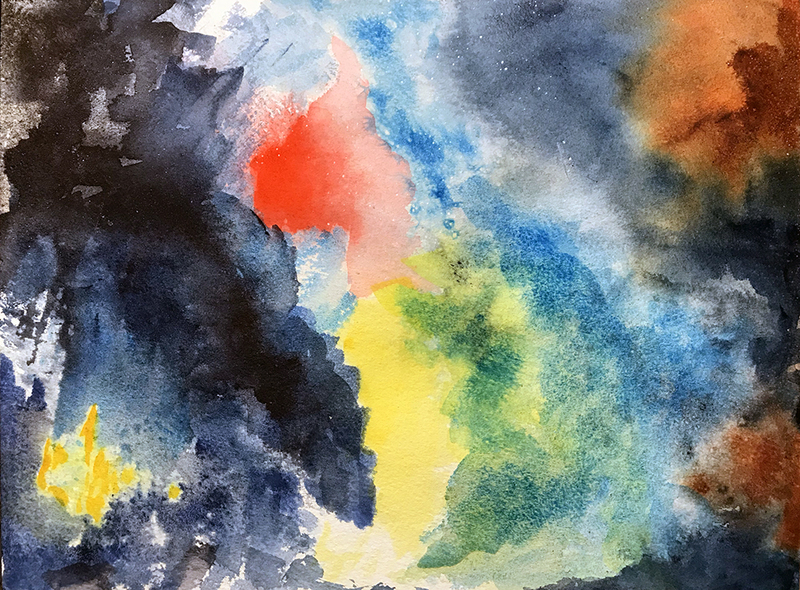 This entry was posted in Personal Stories and tagged abstract art, creative process, creativity, nebula, nebulizer, painting, rough paper, texture, visual arts, watercolor. Bookmark the permalink.